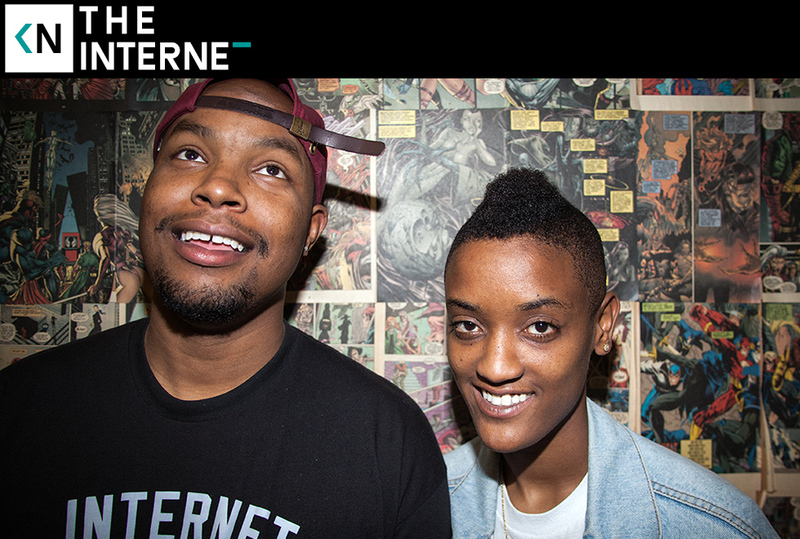 In our 90th episode we talked to Matt Martians and Syd of The Internet. Soon they’re heading for a city near you on tour. Their new record, Ego Death, is a breezy dreamscape of a soul album. It finds Syd more mature, more comfortable, and more revealing than their prior releases. It’s easy to pick up on why these two would work together creatively so well. Their energies almost seem opposite. Syd is laid back, cool and quiet, seemingly scoping things out. At the same time Matt is boisterous and opinionated, speaking with authority on a myriad of subjects. But the longer you talk, the more you see their dynamic occasionally flip flop and realize there’s a definitive give and take that alludes to their obvious teamwork. Hear The Internet talk about learning as you go and improving along the way, first impressions being hard shake, and why you should be nice to venue security.